The personalised giraffe birth date print can be personalised with the name of your baby or babies, their weight and date of birth. 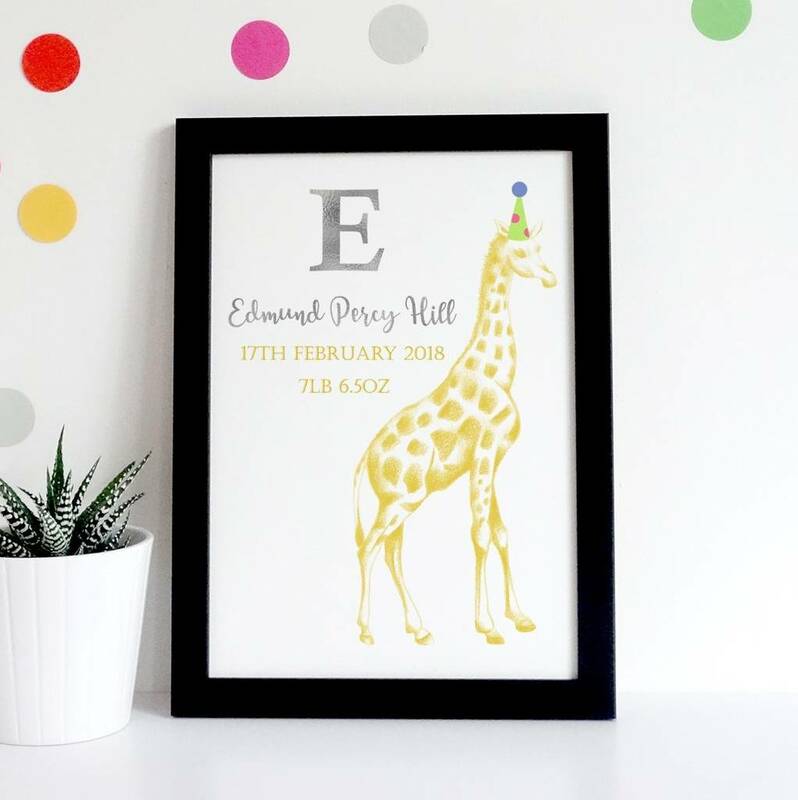 The personalised giraffe birth date print makes a beautiful gift for a newborn, Christening, Naming Day, 1st Birthday or Christmas. Capturing those special first details of a newborn to cherish forever. 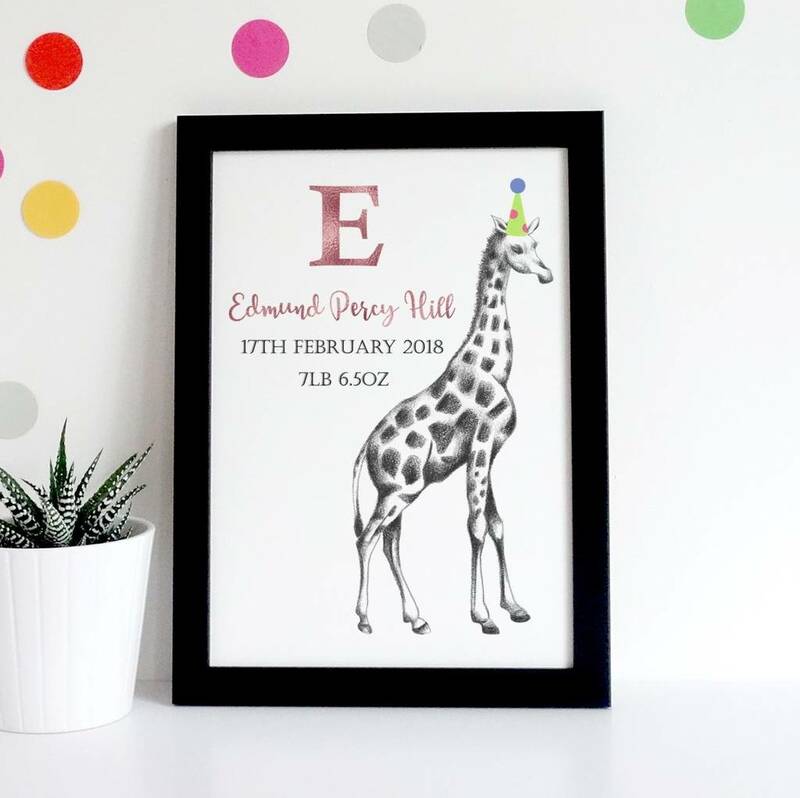 Displayed in a nursery, the giraffe birth date print is a timeless keepsake. Celebrating the arrival of a new addition requires something special and unique, and with a hand drawn giraffe and luxury metallic foiled personalisation, this print offers a more personal gift and something that will be treasured.